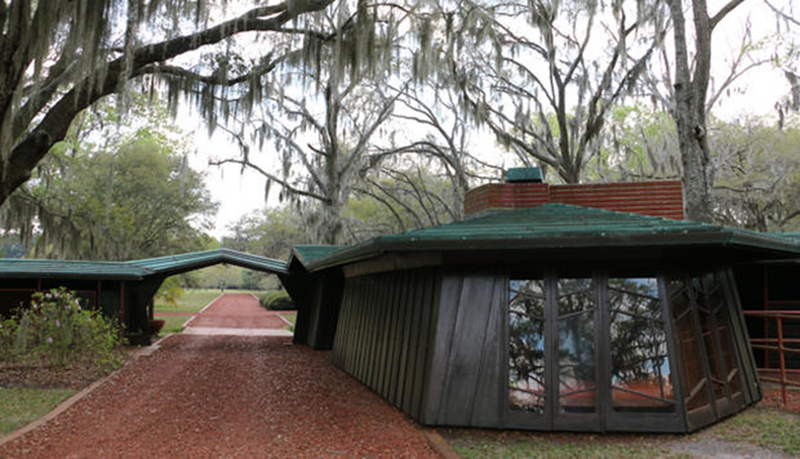 Getting inside Frank Lloyd Wright’s only design in South Carolina’s Lowcountry is not an easy feat. The legendary architect’s C. Leigh Stevens House on Auldbrass Plantation in Yemassee was previously only open for public tours every two years, but that’s changing. The Beaufort County Open Land Trust, which manages the site, announced this week that tours of the house will be given now on an annual basis, with the first round of tours scheduled for November 10-11. Tickets go on sale August 9 for $175 each. 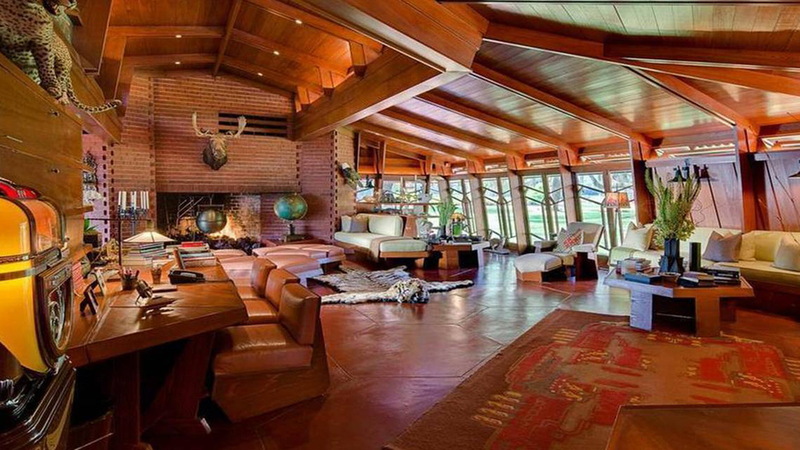 Built in 1939 for Michigan industrialist C. Leigh Stevens, Wright famously designed the residential structure without any right angles. He was supposedly inspired by the lean of the live oak trees found throughout the local region. Hexagonal shapes and inward-sloping walls define the main features of the house and the surrounding slender, one-story structures, including the caretaker’s residence, barn stables, kennels, and cabins—all linked by esplanades and largely clad in brick and local cypress. An elongated swimming pool and bathhouse were also constructed for the complex. The 4,000-acre plantation sits on the Combahee River in Yemassee, about an hour west of Edisto Island and 1.5 hours south of Charleston. The plantation fell into disrepair in the 1960s after Stevens passed away and was purchased by Hollywood producer Joel Silver in 1987. Over the last three decades, Silver has worked with the architect’s grandson, Eric Lloyd Wright, to restore the site to its original elegance and complete Wright’s vision for several other never-realized buildings planned for the complex. Before buying Auldbrass, Silver restored Storer House, one of Wright’s Mayan Revival style textile-block houses in Los Angeles. 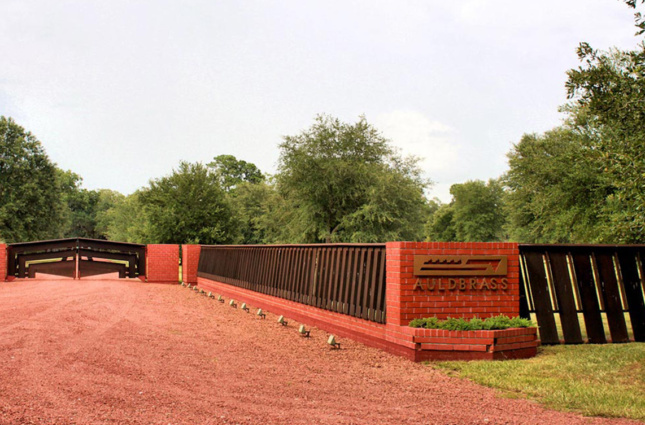 Auldbrass Plantation was placed on the National Register of Historic Places in 1976 and is one of only two buildings Wright designed in South Carolina. The other is an additional residential project called Broad Margin upstate in Greenville.